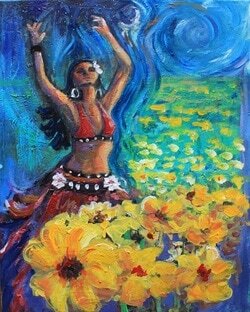 ​ by Led Zeppelin and bellydancing. It is also a tribute to women of all body types and colors. I work in color so much that I thought I would challenge myself to refrain and try to work in a monochromatic way with mostly black and white and only a hint of color. This is the result. I am truly enjoying this challenge. 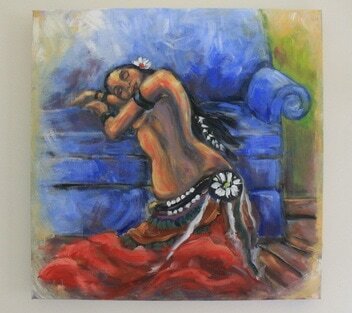 Dreamy beautiful dancer at rest painting. 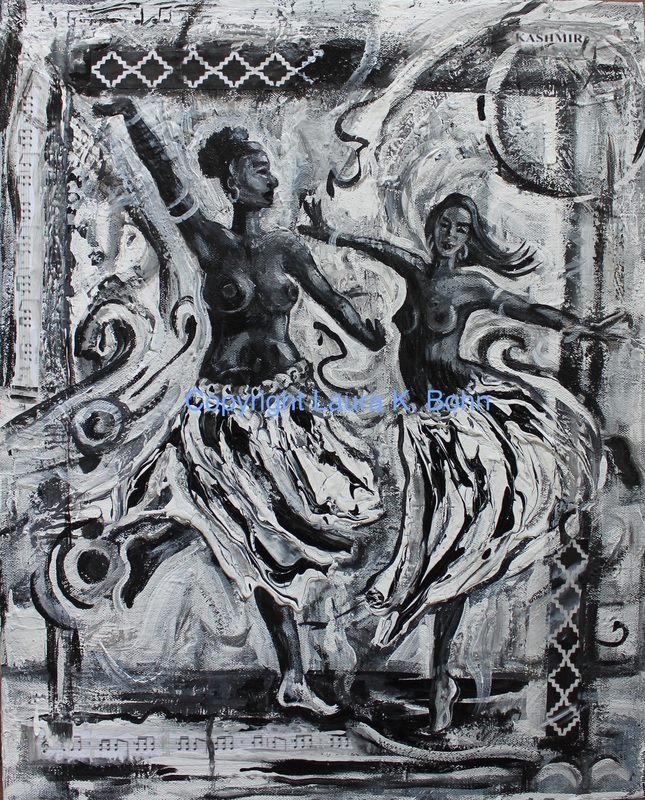 The love of tribal belly dance and the female form is intertwined in this work made from the heart and it was a joy to paint. Contact artist for more info. bohnlaura1@gmail.com or link to my etsy shop page. 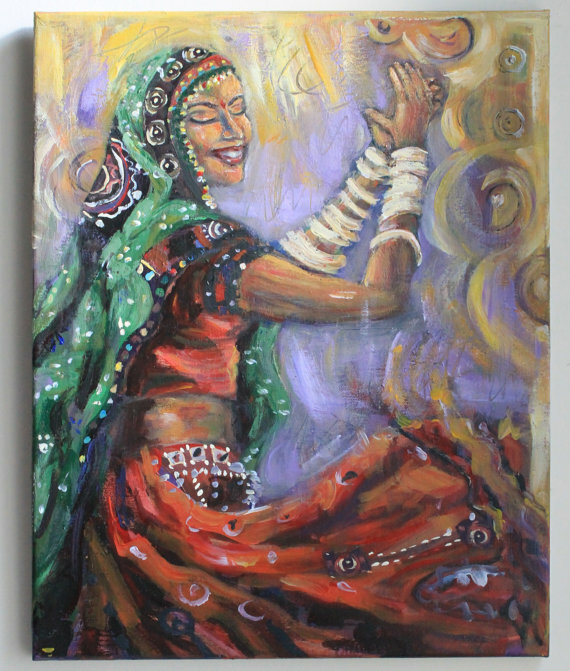 This painting of a dear friend was sold right away! Such dear friends bought it for another. It was sweet! 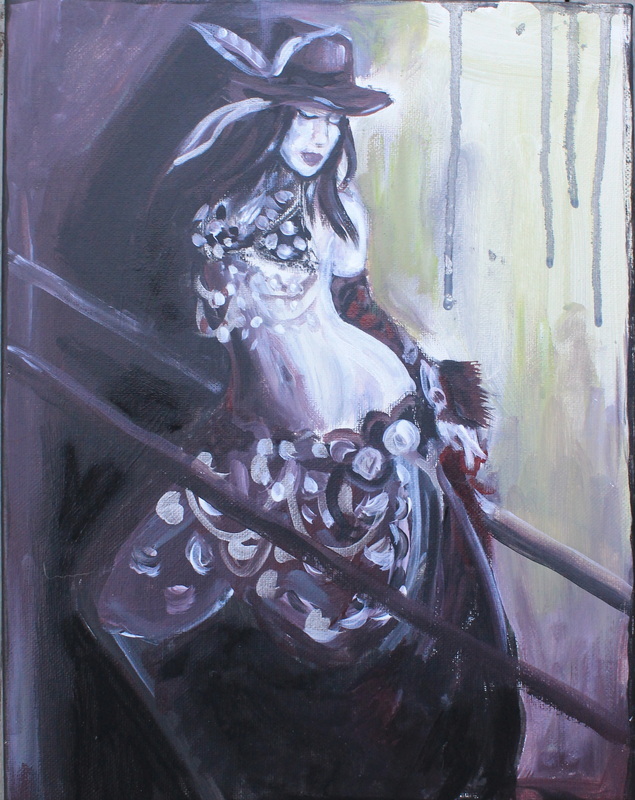 18 x 36 original acrylic dynamic painting. 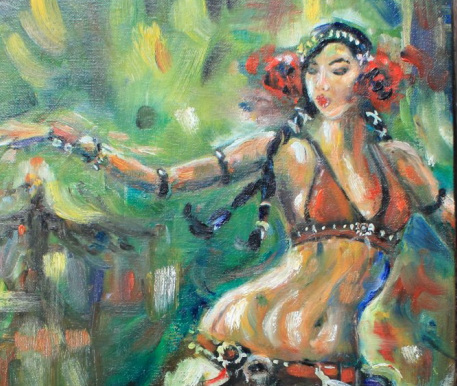 Tribal belly dance is a combination of traditional belly dance moves coupled with hip hop pops and locks, yoga, tightened up within a new eclectic framework. 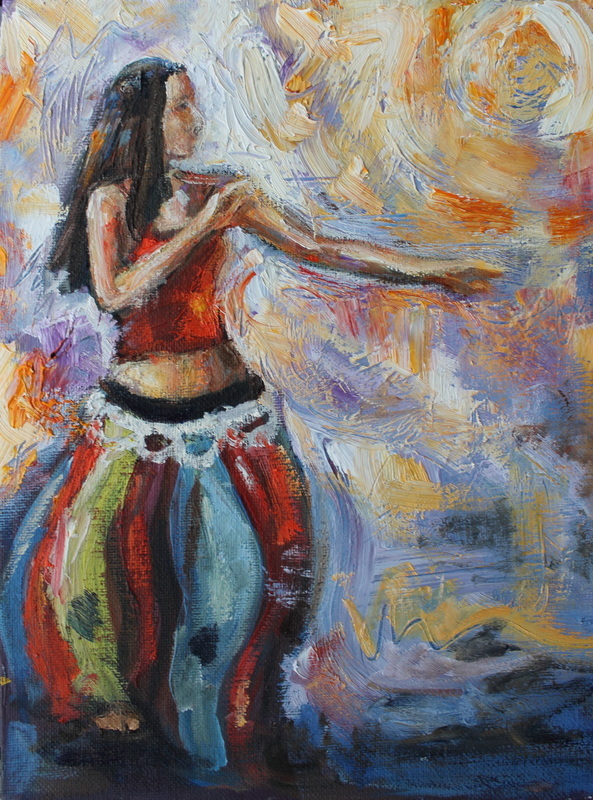 There are different styles of Tribal belly dance. 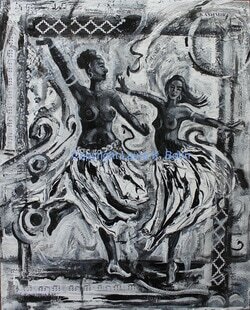 This painting was inspired by the two dancers Rachel Brice and Sharon Kihara. It is the spirit or the essence of the control and movement I most wanted to express. This painting is no longer available since it has been gifted to a friend. 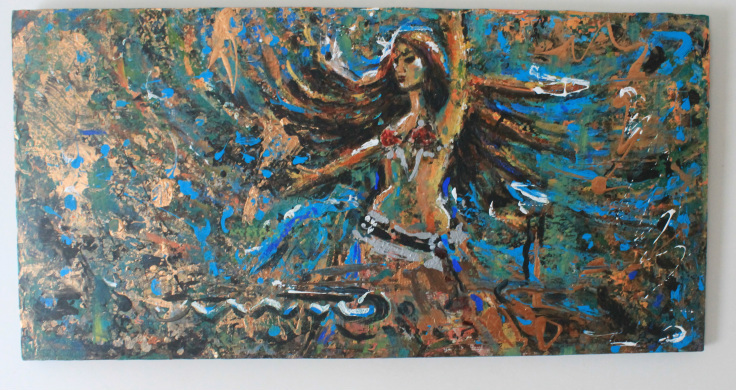 This was a series of vintage bellydancers being created that are rather small and affordable. Here I am strictly working from the love of dance.